K9, the World's most famous robot dog traverses the dimensions of space and time to become the latest robot star of the big screen! Having made his TV debut nearly forty years ago in the 1977 Doctor Who TV serial "The Invisible Enemy" K9 went on to become one of the most iconic characters from the BBC series. A new look high tech K9 for today's cinema is being prepared for film stardom. The film "K9-TIMEQUAKE" has been written by one of K9's original creators; Bob Baker, a renowned writer of classic Doctor Who serials. Bob went on to co-write with Nick Park the Oscar and Bafta winning Wallace & Gromit series of film shorts as well as the feature film Curse of the Were-Rabbit. The film is currently slated for release in 2017 which will be K9's fortieth birthday! Bob and Paul are very excited about the project and having Omega in the Movie will bring a great new dimension to both characters as K9 faces his greatest challenge. The names of the Director and principle cast will be released in the new year. Regular updates will be posted over the next few months. In the television series, who was the original creator of K9? Please send your answers along with your name, address and where you heard about the competition (news site, news app, other website, etc.) to comp-k9essential@doctorwhonews.net with the subject "Affirmative!". The competition is open world-wide, closing date: 8th November 2015. Only one entry per household will be accepted. Material from a long-lost documentary featuring behind-the-scenes footage from the 1966 film Daleks - Invasion Earth: 2150 A.D. has been discovered in a private collection in Wales. The recovered edition of the 1960s teen culture show A Whole Scene Going contains a sneak-peek into the making of the big-screen Doctor Who adventure. 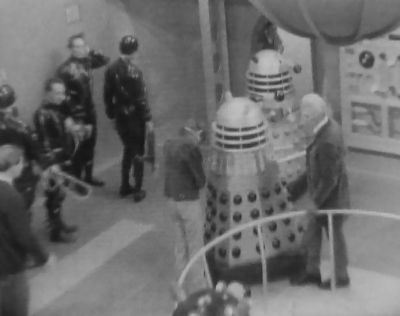 The brief clip shows movie Doctor Peter Cushing preparing to battle the Daleks. The black-and-white footage, taken on the set of the movie, also captures director Gordon Flemyng behind camera as he talks with stunt-men and plans out the movie's climactic final scenes. Interspersed with the footage is an interview with Flemyng — who died in 1995, aged 61 — revealing that he preferred making "entertainment pictures" as opposed to more high-brow films, but "didn't take them any less seriously". Although the BBC wiped the master-tape of A Whole Scene Going, a copy of the magazine show was made and found its way on to the collectors' circuit. Classic TV organisation Kaleidoscope, which recovered the 16mm film print in conjunction with the Tim Disney Archive, said the find would "delight" Doctor Who and vintage music fans alike. A Whole Scene Going is an exciting TV find. For Doctor Who fans there's a fascinating glimpse into the making of feature film Daleks - Invasion Earth: 2150 A.D., showing Peter Cushing as the Doctor on the set along with director Gordon Flemyng and lots of Daleks. For music-lovers there are priceless performances by classic British beat band the Spencer Davis Group as well as American singer/songwriter Judy Collins. Sixties pop shows were routinely shown live or wiped after transmission so it's great to find one that slipped past the eraser's magnet! How this print came into existence or found its way to a Welsh village, we'll never know. However, one theory is that it could have been film-recorded by BBC Wales from the network feed down the line from London for transmission at a later date. A Whole Scene Going also features a rare interview with the Spencer Davis Group, who perform their chart-topping single Somebody Help Me. Kaleidoscope and the TDA — which bought the film print privately from the collector — are currently in the process of returning a digital copy to the BBC Archive. However, fans will get the chance to see the recovered footage for the first time in more than four decades at Kaleidoscope's next screening event, taking place in Stourbridge, West Midlands, on Saturday 9th June. Doctor Who was not the primary draw for us in recovering this programme, but the content of the programme as a whole — the exciting period of popular culture it reflects and its place in the history of British television. Thankfully, after the collector discovered he had a unique TV recording he was keen to ensure it would be returned to the BBC archives, turning down silly money offers to deal instead with Kaleidoscope and the TDA. A clip from the recovered show can be seen at the Tim Disney Archive. Yes, I'm definitely doing a Doctor Who movie, but I think where everyone got confused was that we're not making it for five years, or six years – it's a very slow development. I've got projects backed up between now and about 2015, and it's something I'm very passionate and excited about. Steven’s a genius. I love his work, I think he’s incredibly clever. 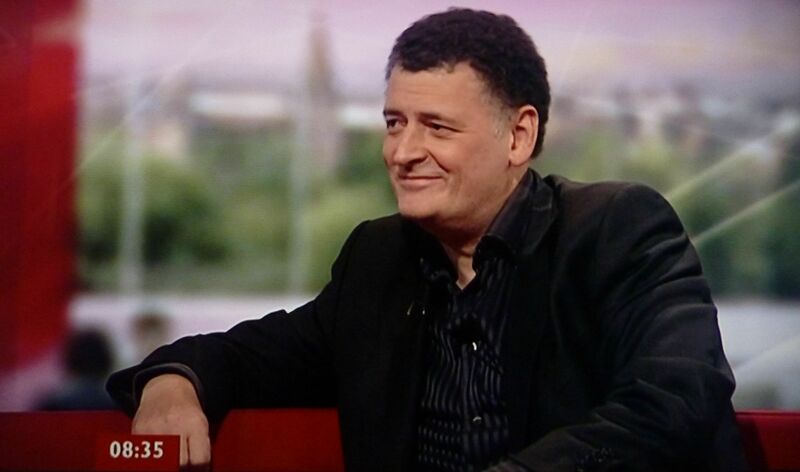 I love what he's done with Doctor Who, love his Sherlock Holmes. He's such a gifted man. But this is something that's a very slow burn and I'm hoping to sit down with him at some point and have a chat. It's just something that we’ve been talking about for a little while. (and on the continuity issues raised) That's all to be discussed. Because it's five or six years from now. It's weird because … what will the series be like in five or six years? But I'm very excited about it, very excited about that world. The full interview can be read at Bleeding Cool, or video versions can be watched via YouTube from SnitchSeeker and LeakyNews. David (Yates) was talking a little out of turn, there; a very, very brilliant director but no the film as described by him, of course we're not going to do that - a film that contradicts the television series, it would be a heathen thing to do ... I would be 'beheaded' to do such a thing! 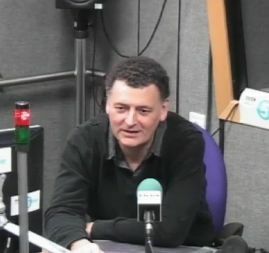 The complete interview with Matt and Steven - which covers the first hour of the programme - can be heard on the BBC iPlayer for the next seven days. You can also watch a video of the interview in which Matt discusses how Doctor Who got him into science. Tennant, who has proved fans' most popular Doctor during the programme’s modern era, is set to make a "cameo appearance" in the new movie with recent Harry Potter director David Yates at the helm. "It's felt it would be very fitting to have David involved after everything he’s done for the show," said an insider. Director David Yates attended the BAFTA Los Angeles 2011 Britannia Awards on Wednesday evening, where he was awarded the John Schlesinger Britannia Award for Excellence in Directing in recognition of his work on the Harry Potter series of films. I can't really talk about that because its such a long way away. We're principally looking for a writer, and we'll start with that. Everything has to start with a great script, so that's more important than casting. I've lived with (fan) pressure for so long. What's pressure? I don't know anymore! It's fine, it's good. It's such a wonderful character and such a wonderful world. It's exciting. It's a long journey and we're going to take our time with it. Right now I'm looking forward to a vacation, frankly! To clarify: any Doctor Who movie would be made by the BBC team, star the current TV Doctor and certainly NOT be a Hollywood reboot. 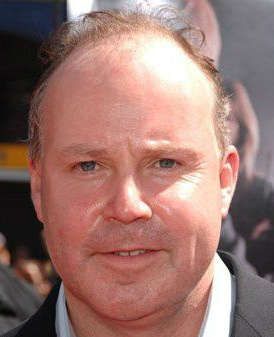 David Yates, great director, was speaking off the cuff, on a red carpet. You've seen the rubbish I talk when I'm cornered. Variety have reported that preparation has begun to turn Doctor Who into a feature film, to be helmed by director David Yates (Harry Potter) in association with BBC Worldwide Productions under the auspice of Jane Tranter (VP of programming and production). We're looking at writers now. We're going to spend two to three years to get it right. It needs quite a radical transformation to take it into the bigger arena. The notion of the time-travelling Time Lord is such a strong one, because you can express story and drama in any dimension or time. Tranter has commented on the potential of a Doctor Who film before; asked about the possibility when outlying her plans for BBC Films back in 2007, she answered: "I would not rule out a film version of Doctor Who, no." There's been a lot of talk today about the possibility of a Doctor Who movie - a feature film remains in development with BBC Worldwide Productions in Los Angeles. But, as of yet there is no script, cast or production crew in place. Perhaps the most famous attempt to produce a film occured in 1992 with the BBC Enterprises project The Dark Dimension, aimed to be released during the show's 30th Anniversary the following year. Others include Doctor Who Meets Scratchman, an attempt by then Doctor Tom Baker and Ian Marter to take Doctor Who to the big screenin the 1970s, and a long-term project by the Daltenreys group (aka Coast to Coast) in the late 80s/early 90s.